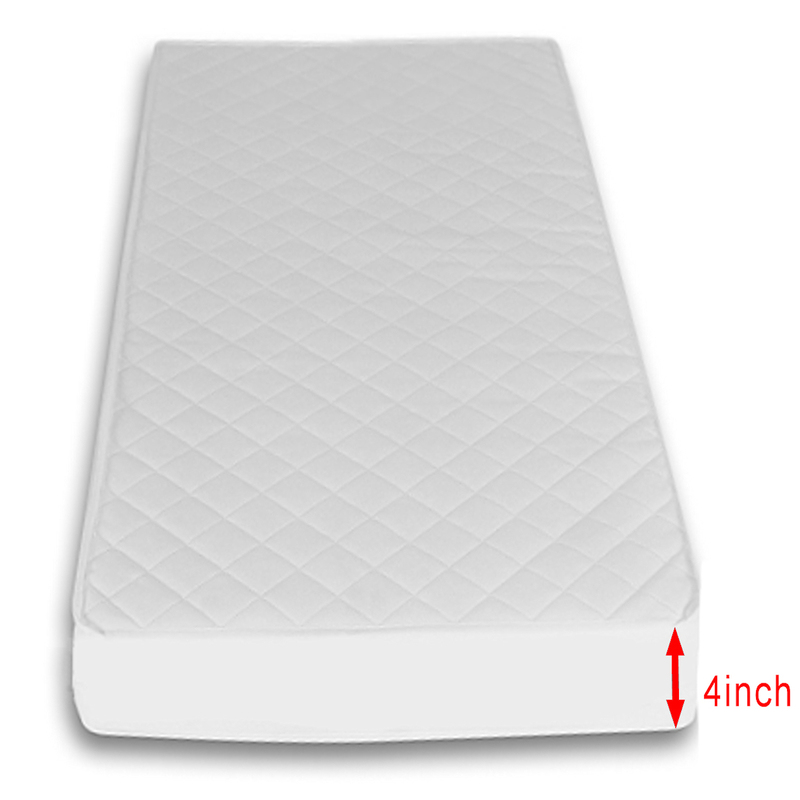 Includes waterproof gliding mattress protector! The 4Baby Sleigh is a stunning, top-quality cot bed, which would sit perfectly in any nursery. The cot bed offers you the choice of 2 base/mattress height positions which can be adjusted to suit the requirements of you and your growing child. Once your child has grown out of the cot bed, it can easily be converted to a junior bed. What’s more is that when your child no longer needs the junior bed, it can also be converted into a sofa, giving significantly prolonged life and use from this wonderfully dynamic piece of nursery furniture. Cotbed is gorgeous. I'm very happy with it. I also got a safety gate which I'm over the moon about because I hate the ones where you have to stand over the bar at the bottom. It is simple to put together, looks stylish and is very sturdy. Our little one is not far off us changing it to a bed but only just had time to post 😂 You know how it is lol... but I do love this, still got no scratches or marks a year and a half in. I would maybe have upgraded the mattress to a spring but it's only now as she's bigger that it would have been better. I am 8 months pregnant now and I bought this cot early on in my pregnancy and just had it fixed. It was a friend of mine who told me about this website I can't belive how I was able to get such an amazing cot at a good price and can't wait for my daughter to sleep in it. It's beautiful and compliments the whole bedroom. Was also easy to fix and isn't heavy like I thought it would be. Love it and I highly recommend you buy it.